The month opens with great emphasis around your professional direction and work life, which could also encompass how well you’re looking after your health, Moon Babe. February also guides personal relationships towards the next stage, with more revealed by the 28th. With Mars charging ahead full steam in the area connected to visibility and your public impression, you could really be revealing yourself (i.e. 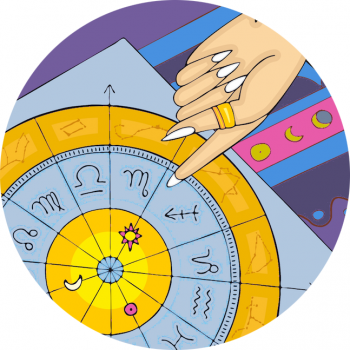 on social media) or focusing more acutely on your worldly direction, Cancer. Lady Venus adds her warm glow to this kind of exposure on the 2nd, however certain individuals might undermine your ambitious streak on this day. Try to understand other people’s agenda, even if theirs is not in line with your own philosophy. The new moon (at 9.04 pm GMT) on the 4th is your chance to refresh and elevate your investments. Think of your time, energy and resources, and how you distribute these valuable assets within your most important relationships. Is it time to set financial goals, or commit to a special partnership once again? Think of those that help you reach towards your aspirations. You could find you’re particularly adept at thinking through some of the more practical issues; run over any financial or contractual paperwork before the 10th. Between the 10th and the 14th you’ve a particularly passionate window that focuses on your path, stressing how different you’ve become over the last eight-year stretch. It’s an interesting time to review the direction you’ve taken, breathing life and purpose into changes made. The weekend of the 16th presents a very different mood, as your imaginative side is elevated! Venus, now in your zone of committed relationships, aligns with dreamy Neptune and Mercury in Pisces, bringing artistic sentiments to the table. These are ideal days to meet with people that can help further your message, or help mentor you. The full moon on February 19th peaks at 3.54 pm GMT. The sun will have just slipped into Pisces, and your zone of travel, education and broadcasting, while Luna moves into the more refined, practical and astute sign Virgo, the editor, nurse or helpful friend. Information or connections can come to light now, and you may feel like celebrating your exceptional ties to those that count! The 22nd could prove interesting, as a broader, liberated outlook and sense of adventure might not chime so easily with work that’s in motion. You could feel distracted from your day job, as excitement in a pair beckons! It’s easy to feel seduced around this time, or to engage with people that aren’t necessarily good news. Stay on the ball to avoid confusion. It’s possibly that the last week of February repairs some of the fall-outs from earlier in the year, smoothing over the cracks from the shattering eclipse January 5th. Your relationships might now see some improvement, and you might find co-operation in love and business. However there’s also the chance for not getting what we want, in which case don’t cling; be prepared to let go!